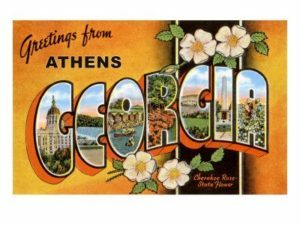 Athens, Georgia is a quirk-tastic college town … quiet and sweltering in the summer, overrun with hundreds of thousands of students the rest of the year. In fact, UGA was chartered way back in 1785 – making it one of the oldest colleges in the nation outside of Ivy League schools. 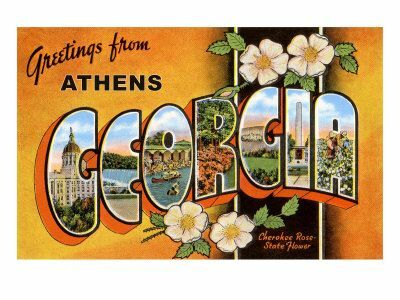 But once you get outside the downtown/campus area … Athens’ quaint southern charm starts to shine even more. 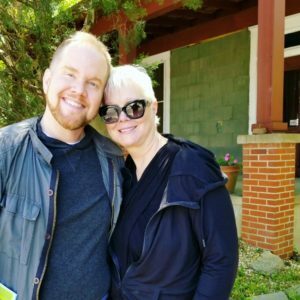 I quickly found that out when I hopped into the back of an SUV for Round II of my tour with Cindy Wilson and her drummer Lemuel Hayes. Every stop we made gave a little insight in to the history of The B-52s. We rolled up to a non-descript house tucked away from the street. The property was so overgrown with landscaping, you could’ve blinked and missed it. The story she shared, however, will forever be etched in my mind. That’s where Cindy and her brother Ricky Wilson lived around the time of the B’s inauguration. Cindy painted quite a picture of her coming home from work one night and tossing her keys on the counter. Ricky was in his bedroom riffing on the guitar and wanted her to come in to listen to a “ridiculous chord he came up with”. That chord was the opening to the song that put the band on the New Wave map … the distinctive plunk, plunk, plunk of “Rock Lobster”. The rest – as they say – is history. Side streets in Athens are ridiculously narrow – some still lined with cobblestone. It takes a little finagling to bob and weave your way through the interior of the city. One street in particular was lined with trees as far as the eye could see. When I pointed out nearly every house had a tin roof … Cindy commented, “rusted”. As far as I was concerned, that could have been the end of the tour. I died right there. Dead. Fortunately, I resurrected when Cindy suggested we swing by the famed Taco Stand for lunch (made famous in the song “Funplex” as the Taco Tiki Hut). Like the band, the restaurant is also celebrating its 40th anniversary this year. I picked up the bill for our motley crew … and I think the total was a whopping $11.75 … including guacamole. Perfect for poor, starving college students. Next to the taco joint was a green house where The B’s performed their debut concert way back on Valentine’s Day 1977. I stood in awe as Cindy mentioned how the night played out. Because they didn’t have that many songs in their wheelhouse yet, they just played longer versions of each tune. “Sort of like the extended dance remix, yes?” I laughed. Cindy agreed. It was at that house party they established their irresistible, danceable 60’s surf music meets outer space meets garage rock origins. We even made a quick drive-by past Athens’ famed “Tree That Owns Itself”. It has nothing to do with the band … but it made for an interesting story. 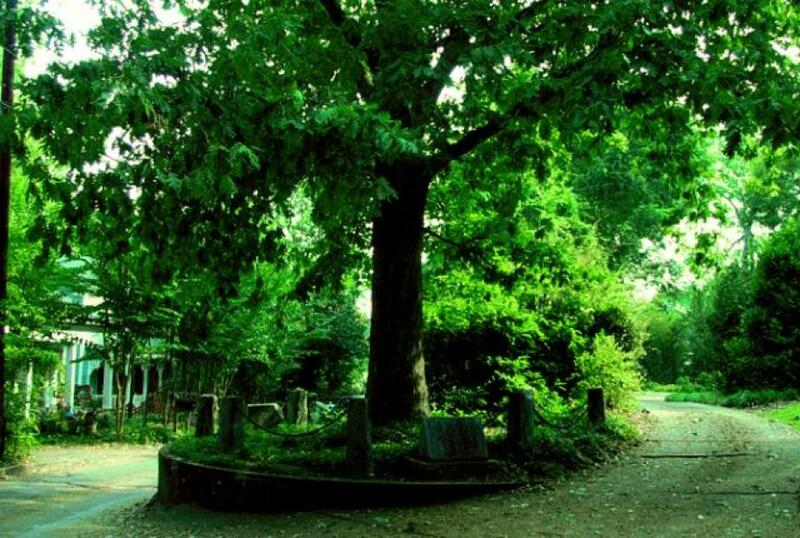 Seems early in the 19th century, a University of Georgia professor named Colonel William H. Jackson had a crush on a white oak tree that been in his family for generations. As an adult, he was determined to protect it … forever. The Tree That Owns Itself now has legal ownership of itself and of all land within eight feet of its base. Who knew? For a B’s fan like me – every stop offered up a little vignette. From places where Cindy’s solo band rode around on bikes for their music video “Brother” … to a new abode Cindy just found to rent for her son. Cindy and Lemuel even clued me in on UGA’s football team that brings nearly 100,000 visitors to the city on game day. “People camp anywhere and everywhere,” she said. When Cindy suggested we head back to town for potential happy hour shenanigans, I was more than ready. Mainly because I had about 822,395 questions I wanted to ask her. More on that and a visit to Cindy’s house in Part III.